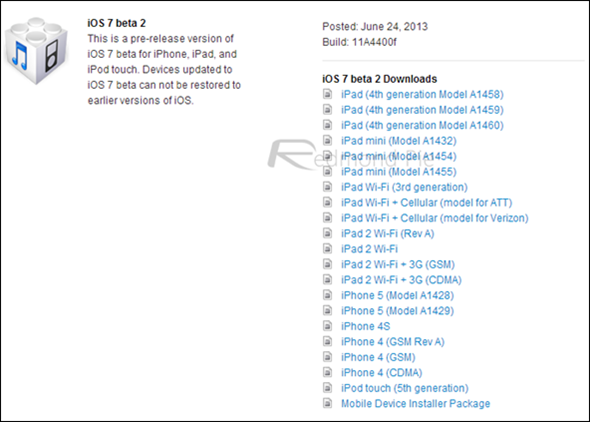 Apple has just seeded iOS 7 beta 2 to developers, which, among other things, finally brings iPad support. Due to the tight schedule in which the Cupertino company was operating in the run up to the WWDC launch of iOS 7, the first beta only worked with the iPhone and iPod touch, but with a couple of weeks now having passed allowing Apple to sort things out, iOS 7 beta 2 (build 11A4400f) now works with all iOS 7-ready iOS devices. Details after the break. It’s only natural, given the amount of buzz surrounding iOS 7 beta in general, that users would want to try it out on their iPads, and as well as now supporting both the main and mini versions of the iconic tablets, iOS 7 beta 2 brings a plethora of changes and updates. For example, the Voice Memos app has now returned, and the male and female Siri voices first demonstrated by Apple at this year’s WWDC are now available in English. Apart from that, the whole OS is more responsive, and performs much better than the first beta of iOS 7. Safari has also received a small UI improvement, but it’s something which is really not noticeable. Some bugs pertaining to iMessage have been fixed, too. And yes, Voicemail is now a go for those who use it… I wonder who. Just like the aforementioned changes, there are many small changes which are hardly noticeable, but make up for a good performance update and bug fix. We have had just a brief while to try out the new beta, and it would seem like Siri is a tad faster than it was in the first beta. This has also been reported by multiple readers, and it looks like Apple has really been upping its efforts to refine the system wide voice recognition software. As well as this second iOS beta, Apple has also dropped Xcode 5 Developer Preview 2, as well as another beta of Apple TV iOS 5.4. So, if you have a developer account and would like to check out the new beta on any of your iOS devices, you now can thanks to the release of iOS 7 beta 2. As you can imagine from what is still an early beta, it’s still far from finished, and thus don’t go in expecting the usual slick iOS user experience. 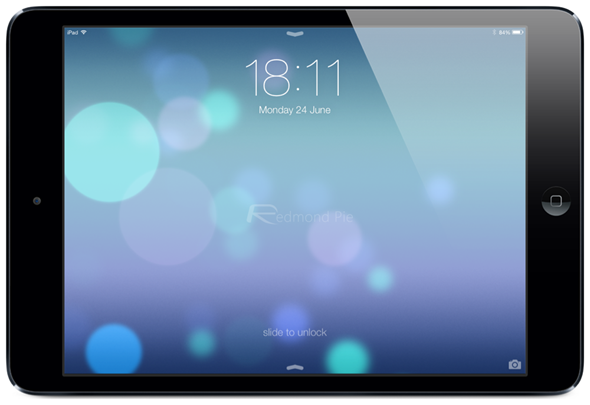 iOS 7 beta 2 is supported by the following iPad models: iPad 2, iPad 3, iPad 4 and the iPad mini. If you don’t have a developer account but are intrigued enough to go ahead and try out iOS 7 beta 2, please check out our guide on how to download iOS 7 beta and install on your iOS device. Although it was written prior to the release of the second beta, the same rules apply when installing on an iPad as an iPhone or iPod touch.